Dublin, Ireland – The technical program of VMSG 2016 concluded today and I am saturated with new ideas about igneous systems. Abstracts for all of the talks and posters can be found on the VMSG 2016 website. There were so many excellent presentations, but I thought I’d mention just a few of the highlights. 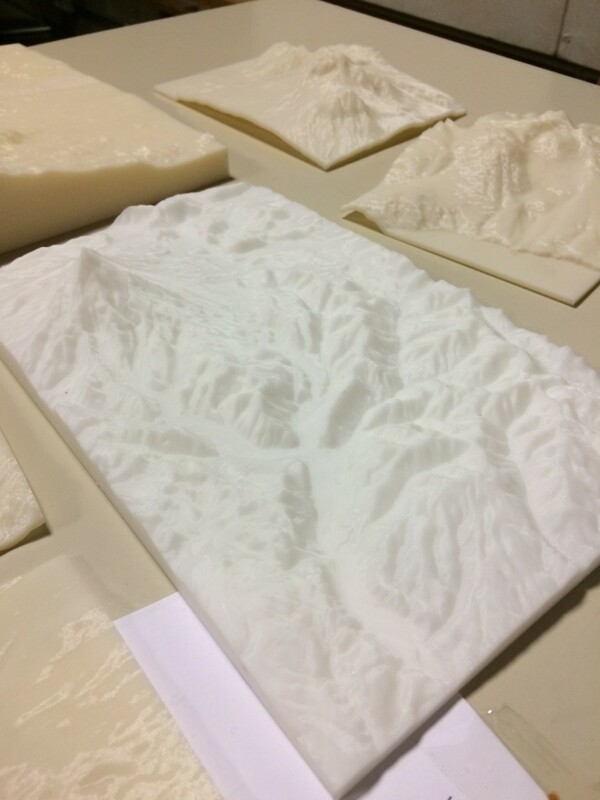 Ian Saginor shared his Volcano Terrain Initiative to use 3-D models for volcanology education and outreach. When Ben Hayes discussed his idea for the formation of plagioclase-pyroxene layering in the Bushveld Complex by downward percolation of a dense melt through a crystal mush, Mary Reinthal (’16) said she felt like she was reliving Petrology class. I guess that layered mafic intrusions lab had an impact! John Maclennan gave a talk about the uncertainties (and deadly implications) of interpreting pressures from CO2 compositions of melt inclusions. This is a follow-up post to our entry on Christmas Day two weeks ago. Above is a trepostome bryozoan (the long porous piece) with specimens of the atrypid brachiopod Zygospira modesta clustered around it. They are positioned with their ventral valves outward because in life they were attached to this bryozoan with tiny fleshy stalks called pedicles. They were buried quickly enough that this spatial relationship was preserved. Cool. This assemblage was found in the Liberty Formation (Upper Ordovician) exposed in a roadcut in southern Indiana. 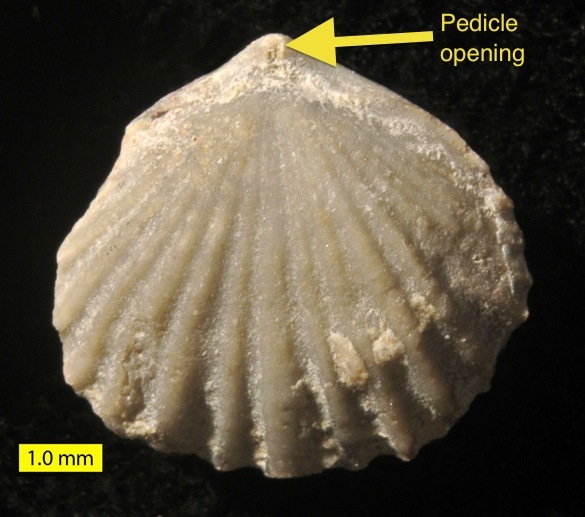 This is a view of the dorsal side of Zygospira modesta showing the pedicle opening in the ventral valve at the apex of the shell. Copper, P. 1977. Zygospira and some related Ordovician and Silurian atrypoid brachiopods. Palaeontology 20: 295-335. Sandy, M.R. 1996. 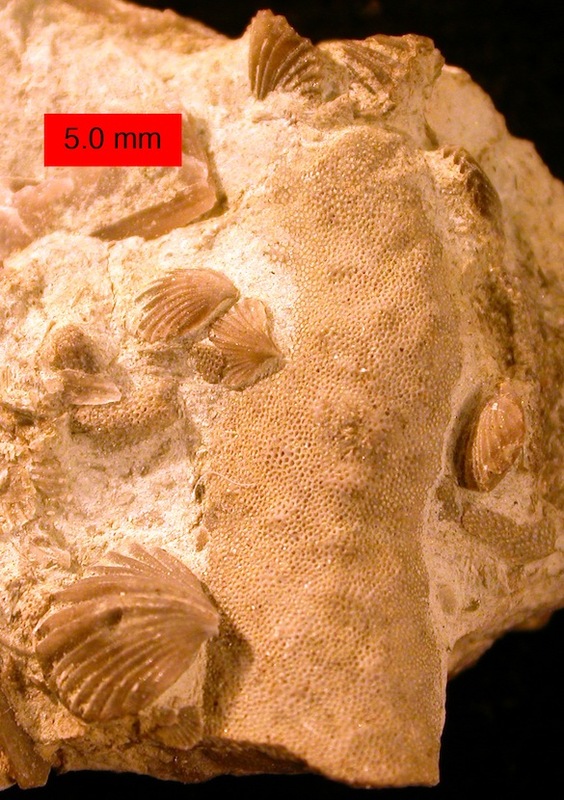 Oldest record of peduncular attachment of brachiopods to crinoid stems, Upper Ordovician, Ohio, USA (Brachiopoda; Atrypida: Echinodermata; Crinoidea). Journal of Paleontology 70: 532-534.